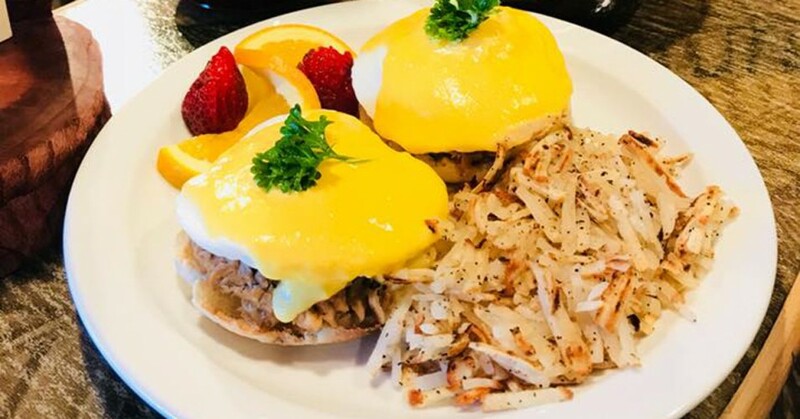 Tiki Mana Island Grill offers a full menu featuring breakfast in Breckenridge, Colorado. $5.95 gets you 2 eggs, hash browns and coconut rice or toast! More options include Hang Ten Eggs Benedict, Omelettes, Big Wave Loco Moco, and lots more.